In partnership with ARM, HEXUS is giving all our readers around the globe the chance to win amazing new gadgets this holiday season. Every day for the next few weeks, we'll be giving away a brand-new gadget powered by the ARM architecture! Our amazing array of prizes will include devices from ARM partners such as Asus, Corsair, Lenovo, Nvidia, Razer, Synology and many, many more! Each prize draw will be open for seven days to readers anywhere in the world, so bookmark our dedicated competition page to keep tabs on what's up for grabs and what's coming soon. We're past the halfway point but the prizes continue to come thick and fast! 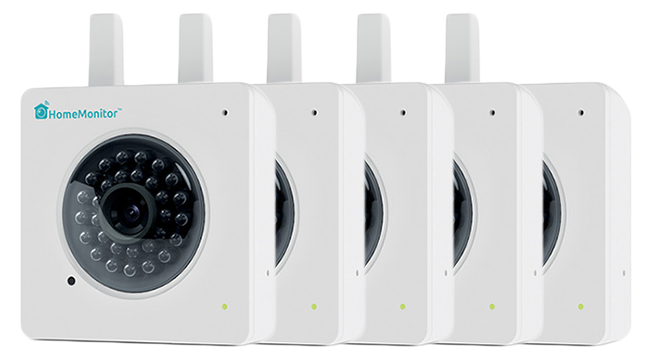 On Day 17, we're giving you the chance to win one of five Y-cam HomeMonitor HD security cameras. Easy to set up and able to alert you when motion is detected, these compact ARM-powered units allow you to see and hear what's happening at home from anywhere on your smartphone or tablet. Want to be in with a chance of winning? Simply answer the following question, and don't forget, you can also claim a free second entry via Facebook! Good luck, and check back soon for more prizes in the 2015 Epic Giveaway! The prize draw is open to HEXUS readers aged 12 years or over. The competition winner will be picked at random from all eligible entries that arrive by midnight of the closing date, December 30, 2015. The winners will be notified via email by January 6, 2016. The winner must claim their prize within 7 days of the promoter sending notification. If the prize is unclaimed after this time, HEXUS reserves the right to offer the unclaimed prize to a substitute winner selected in accordance with these rules. The prize is one of five Y-cam HomeMonitor HD security cameras. Prize draws are not open to employees of HEXUS and their affiliates, agencies, suppliers, sponsors and members employees' immediate families. Made for enterprises, this standalone HMD offers advanced fresnel lenses, 6DoF controls. GitHub tool lets you get Windows 10 on ARM on a Raspberry Pi flavoured SD card in a few clicks. Not for me but goodluck to everyone.